There are a lot of things to take into consideration when you’re designing the layout of your warehouse. 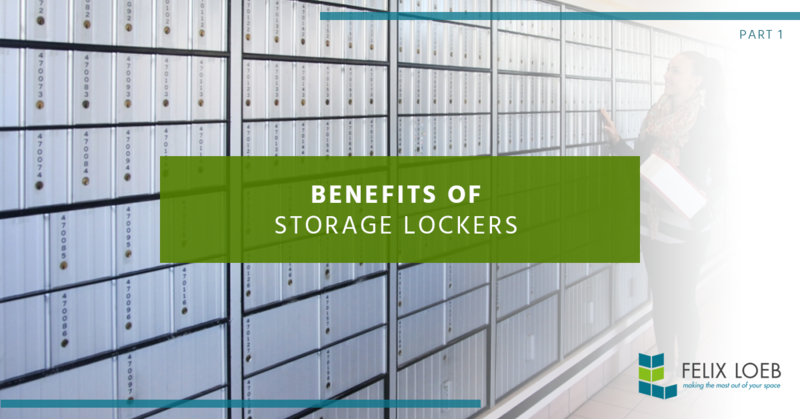 You want to be able to store as much as possible, have certain things easily accessible, maintain a safe work environment, and design a layout that will help you be as efficient as possible while on the job.In this blog, we’ll talk a bit about storage lockers and why they’re important to have. If someone breaks into your warehouse, you’ll want to know that your’s and your employees’ belongings are safe. Storage lockers will keep them out of sight and locked up so you won’t have to worry about that. If something does happen to go missing, you’ll have everything consolidated into one area of the warehouse, making it easier to find again. If you want to create a break room for your warehouse workers, a great way to do that is with storage lockers. Not only will your employees have their own locker space, but you’ll be able to adjust your break room space as needed. With each worker having their own designated locker, there won’t be any confusion as to who each piece of equipment belongs to. Additionally, lockers will keep equipment like construction helmets, clothing, and tools out of the way of machinery and your main storage area. If you are in the market for storage lockers, don’t hesitate to contact Felix Loeb. We have everything from classic lockers to athletic box lockers and equipment storage. Creating the safest and most efficient work environment is all about having the right options available to you, and at Felix Loeb we have plenty! Visit our products page to see all we have available and contact us for a free consultation!